This is only a glimpse into Kathy Reads Fiction's review on A Bird on a Windowsill, and I'm so touched! Pre-order Salem and Savannah's story today on Amazon, Barnes & Noble, iTunes and Kobo! 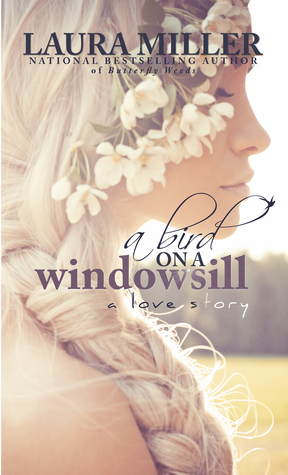 And don't forget to add A Bird on a Windowsill to your Goodreads TBR list! And while you're on Goodreads, enter to win one of five signed, paperback copies! Kathy reads Fiction reviews When Cicadas Cry! "This is my favorite Laura Miller book, yet." "Miller brings the small town rumor mill to life in this book." I'm both humbled and so honored by this review! I think Kathy Reads Fiction encapsulates Rem and Ashley's story beautifully! Check out the review of When Cicadas Cry here! ★★★★★ for When Cicadas Cry! SOUTHERN BELLE BOOK BLOG just gave WHEN CICADAS CRY ★★★★★! Read the full review here! AND look for Rem and Ashley's story coming soon!